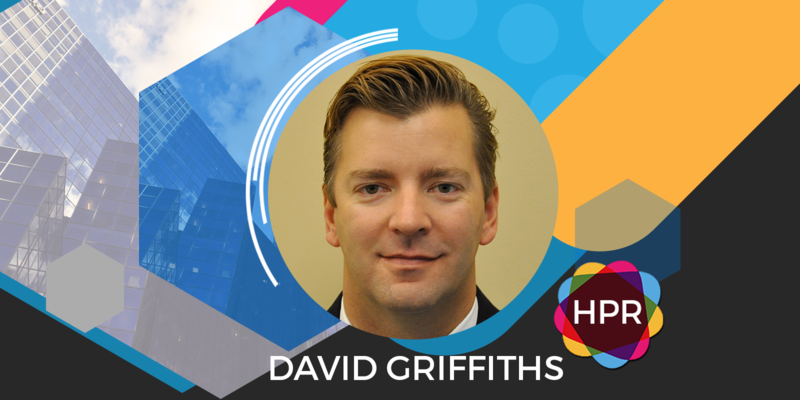 Guest Bio: David Griffiths is Senior Vice President for the Healthcare division of Aon Affinity. David has overall responsibility for the malpractice insurance program for Nurses Service Organization. David is a licensed property and casualty insurance agent and has worked on the NSO medmal programs for the past 10 years. David’s works extensively on risk education often speaking at conferences on the topic of professional liability. David received his B.S. from the University of Maryland and his MBA from Moravian College. Segment Overview: David Griffiths, a representative from Nurses Services Organization (NSO) discusses the ways Millennials are impacting the nursing profession in education, social media, technology, work style, globalization and work-life integration. Neal Howard: Hello. Welcome to the program. I’m your host, Neal Howard here on Health Professional Radio. Glad that you could join us. Our guest is Mr. David Griffiths, a representative from Nurses Service Organization. David is here to talk with us today about the launch of a new professional liability insurance program. Welcome to the program, David Griffiths. David Griffiths: Thank you. Glad to be here. N: We’ve spoken with your organization before. Talk about how you function there at NSO and what is it that you do there. D: Certainly. So I am responsible for the NSO Program. Nurses Service Organization started over 40 years ago offering insurance professional liability or malpractice insurance to nursing professionals. And then sometime later in about 25 years ago or so we expanded coverage and opened it up to a burgeoning class. It was nurse practitioners and the desire that in need that nurse practitioners had in their expanded nursing role to have coverage. This is really the offering that we’re now opening up for CRNAs is really the next expansion and if you sort of think about the nursing profession you have your your RN and then you have that what’s called an advanced practice nurse or APN or APRN. There’s really 4 classes of APRN. There’s practitioners being one of them, I just mentioned, clinical nurse specialist is another which we also offer coverage for. Then there’s the CRNA and that is the newest class that we were offering and then final one just around this out would be midwives and we’re working on something for that now. N: Does participation require a membership in the NSO? D: No. It really doesn’t. The coverage is really and it’s funny because a lot of our customers refer to themselves as members. So if we’re at presenting at a conference or exhibiting oftentimes we’ll have somebody come up and say, “Oh. I’m the member.”, but you really don’t have to be. For the CRNA there really is a large National Association and in the past if you wanted to obtain malpractice coverage for yourself or for your practice and you wanted an admitted carrier which is the preferred carrier you had to belong to National Associations. With our coverage with NSO and our carrier CNA, you don’t need to be a member. So we’ve sort of opened up the box so to speak. N: I assume that there’s a great deal of liability especially when you’re dealing with nurse practitioners. Is this coverage tailored toward each individual their area of expertise or whether or not they belong to certain associations? D: That’s a great question. Really, if we talk about the nurse practitioners their role as you had alluded to has really expanded and it’s something that they have pushed for the nurse practitioners themselves and how there’s over 25 states that allow a nurse practitioner to practice at their educational level and so they’re working independently in many states. While we have seen malpractice coverage in those states the need for it expand because as you would imagine if they’re now opening up their own practice as opposed to working at a Family Practice they now need their own coverage solely by themselves and may not have the ability to rely upon an employer’s coverage. So certainly the need for that has grown if you sort of take that same thinking over to the nurse anesthetists world many similarities. You have nurse anesthetists who may work in a hospital, may work at specialty, miscellaneous facility, or on their own opening up practices. There are a lot of similarities between the nurse practitioner as well as the nurse anesthetist. That being said again there are certain things like the nurse anesthetist is one of the differences in their policy is around consent to settle. When we were developing the product with our carriers NA, by the way CNA, has over 15 years of experience covering nurse anesthetist. They were part of the National Association and have just re-partnered with us. So great news there but the consent to settle was something that they were very confident in that the nurse anesthetists want to have that. It is a part of our practice, our policy practice and in addition to that things like moonlighting and part-time which are activities that a nurse anesthetist may do more often than the nurse practitioner. We’ve also folded those discounts into our policy as well. So those are just two of the highlights from a difference. N: Can this coverage go with a professional as they advance in their advanced training, say if you’re on the path to becoming a CRNA but you’re not there yet? Can this coverage morph with your career? D: Absolutely. It is kind of funny because we will run across the nurse, nursing professional, nurse practitioner, CRNA who would say, “You know what, I had your coverage when I was in school.” So we do offer coverage for students whether you are doing your undergraduate for your nursing degree or you’re in school as a SRNA – Student Registered Nurse Anesthetist and we have covered this for you there. Once you graduate we have professional policies. As a matter of fact even if you’re student we offer coverage to the school. So that’s a coverage that we do offer. If you’re an educator and you’re looking to have coverage for your students, let’s say while they’re doing clinicals, we have a policy that will cover all the students plus the faculty. So it’s something that we offer at a macro basis. And then if you’re professionally you want to branch out on your own our coverage policy is the same or whether you’re employed or self-employed and then if you’re looking to start up your own practice then we move you into what we’ll call a business practice. We have over 25,000 healthcare businesses that we cover as well. Obviously, not all CRNAs. So that’s kind of the what I’ll call it the student to firms line of coverages that we offer. N: Now, where can our listeners go online and learn more about NSO and more about this brand new liability insurance for CRNAs? D: Yes. Absolutely. Our website nso.com does have a page specific to CRNAs and provides coverage details as well as a way if there is interest to get a quote. And in addition, because we’re new to offering coverage to CRNAs, we’ve started to develop case studies. So again the great news about having CNA as our partner is that they have been covering CRNAs for as much in over 15 years of the hat cases and one for risk education activities that we work on is really around developing knowledge in the case of CRNAs and the case studies is a tool that we leverage for that. So one of the things that we will often go out and do it is to present at conferences or present at schools. We see that a lot of CRNAs, professionals really enjoy hearing the case studies and learning what others did and how then they can reduce their risk exposure. So it’s a tool that we leverage as part of our package to CRNAs. N: Sounds like win-win all across the board. Thank you for coming in today David. It’s been a pleasure. Representative from the Nurses Services Organization talking about a newly launched program for CRNAs. Thank you for talking with us today, David. D: Thank you. It was a pleasure to be here. N: You’ve been listening to Health Professional Radio. I’m your host, Neal Howard. Transcripts and audio of this program are available at healthprofessionalradio.com.au and also at hpr.fm.